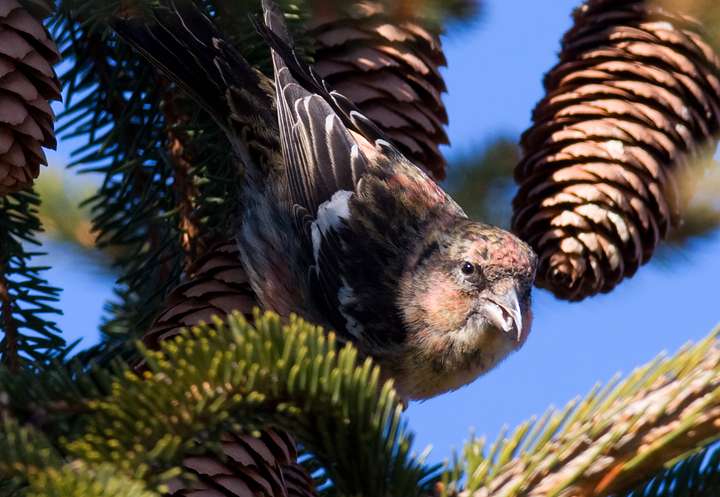 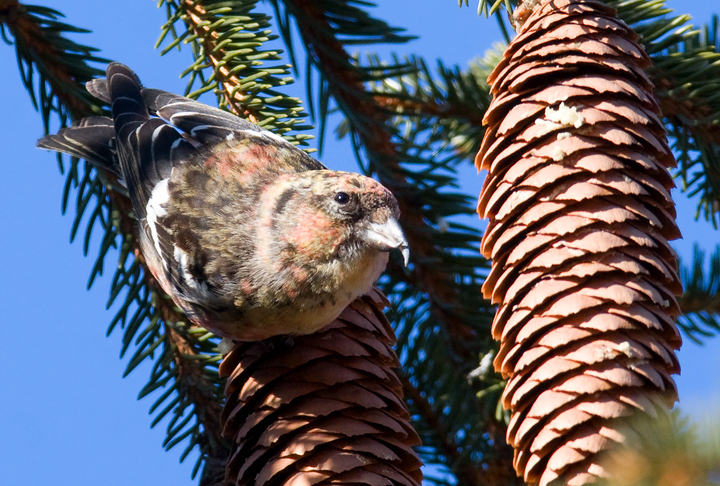 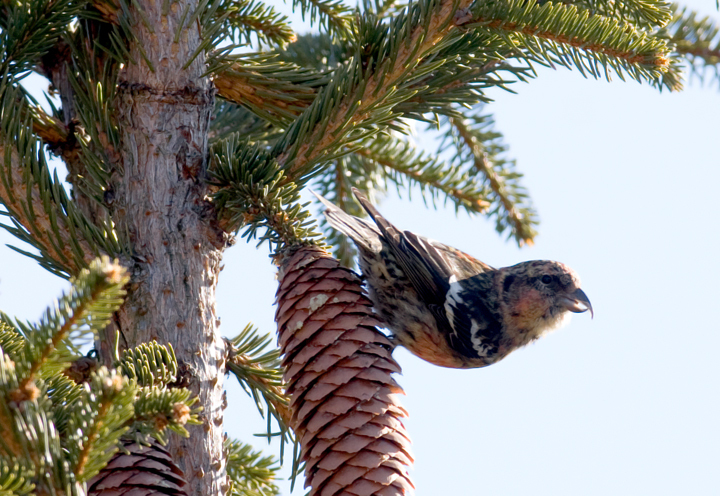 The White-winged Crossbill invasion continues in Maryland. 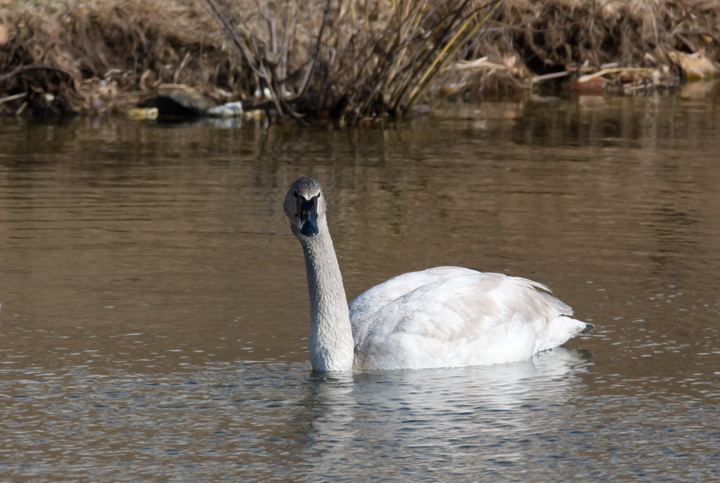 Last updated: 2/17/2009. 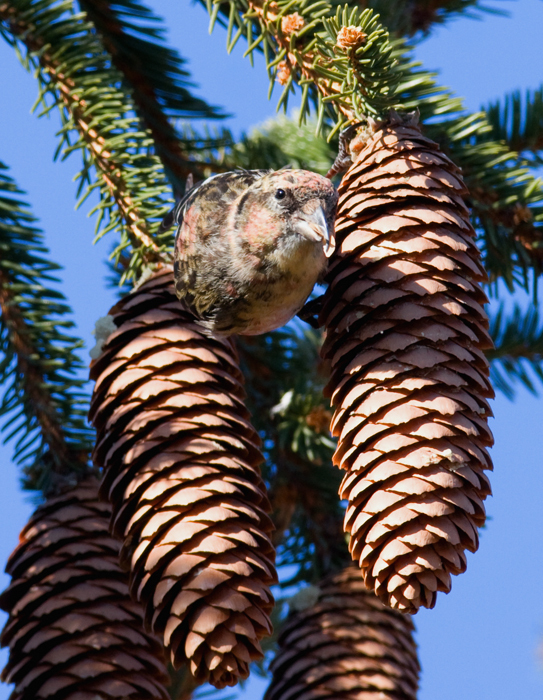 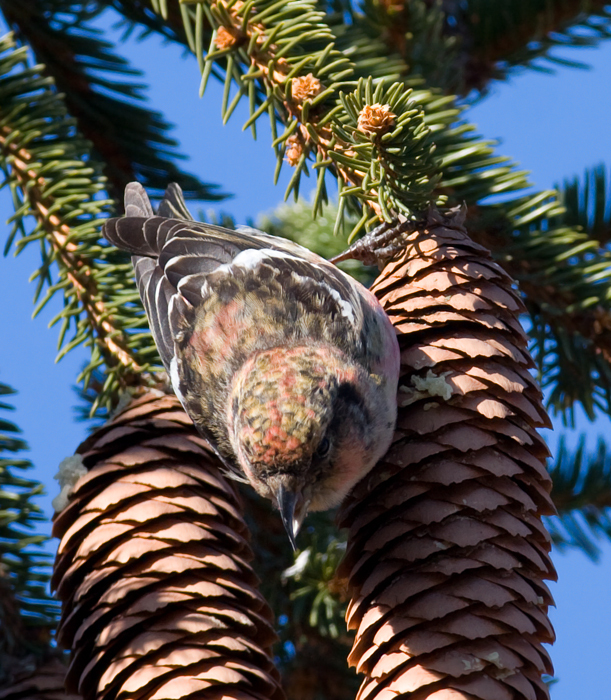 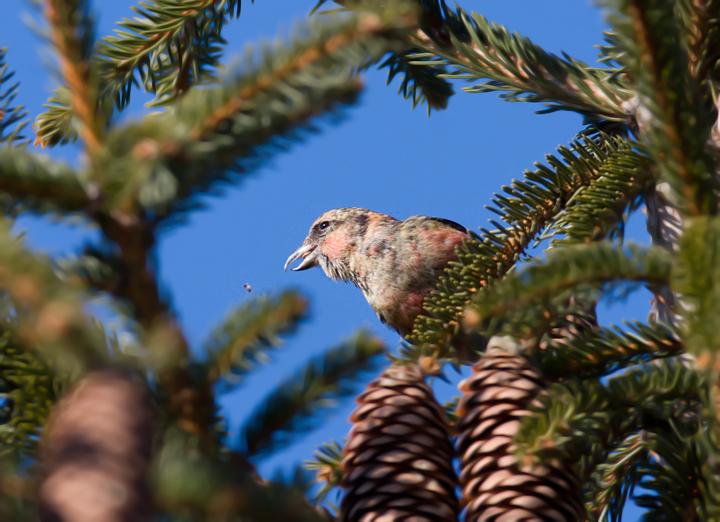 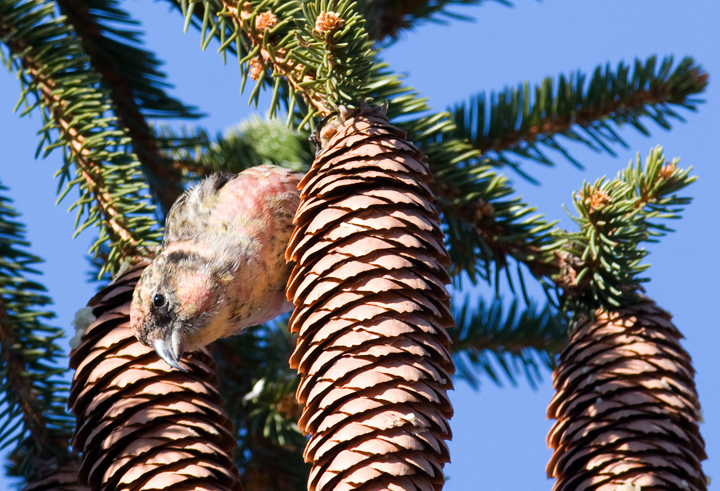 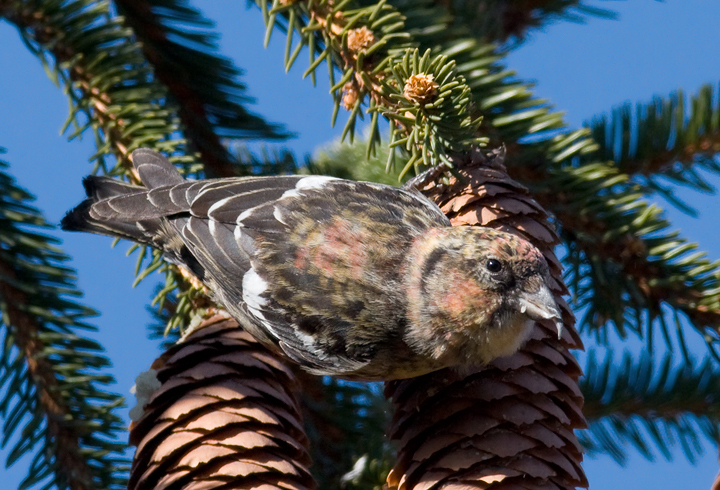 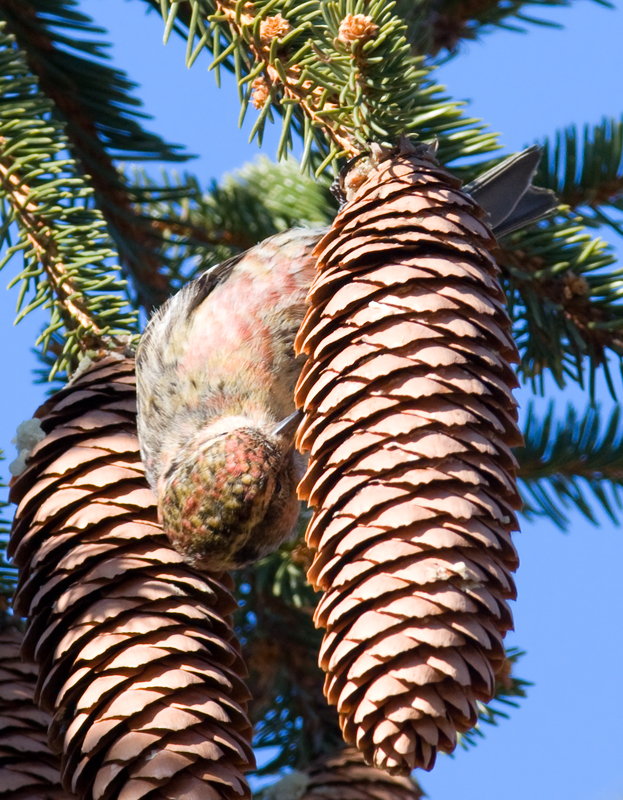 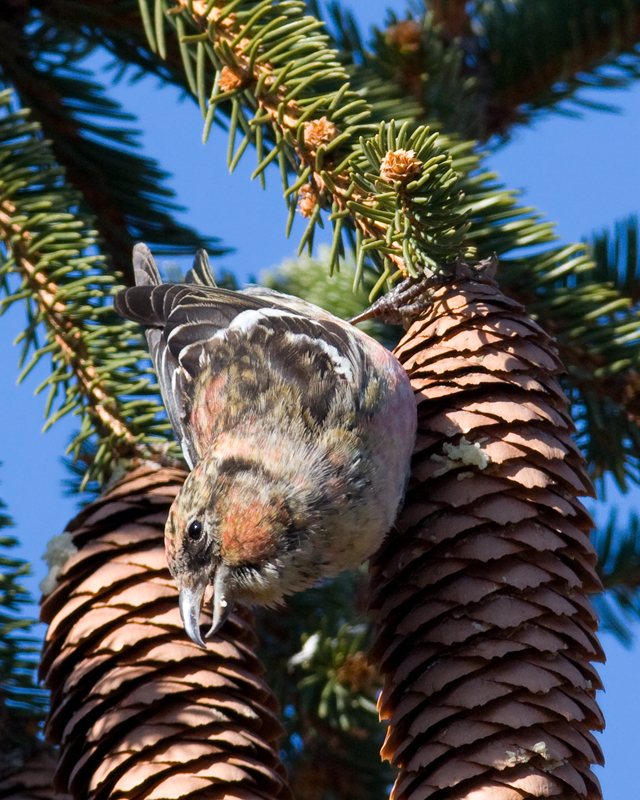 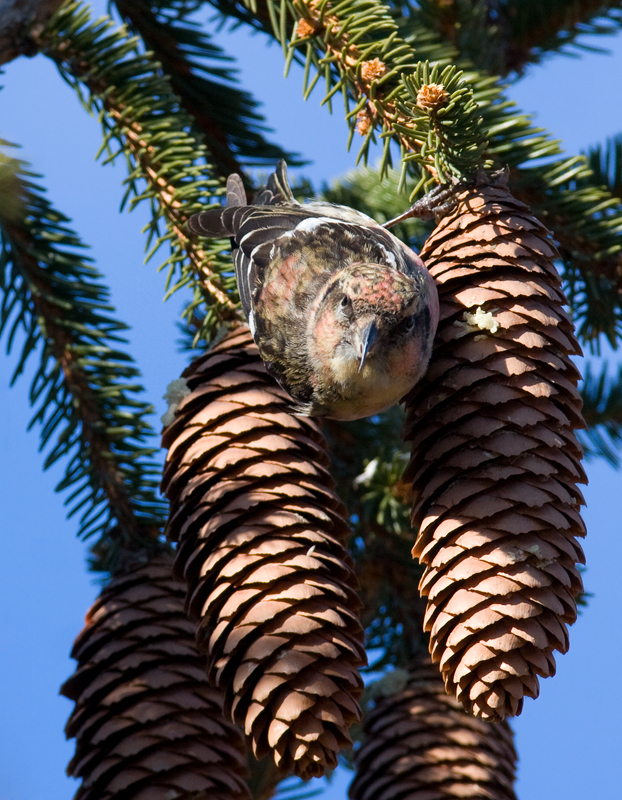 Above and below: A first-cycle male White-winged Crossbill feeding in a Norway Spruce in Carroll Co., Maryland (2/15/2009). 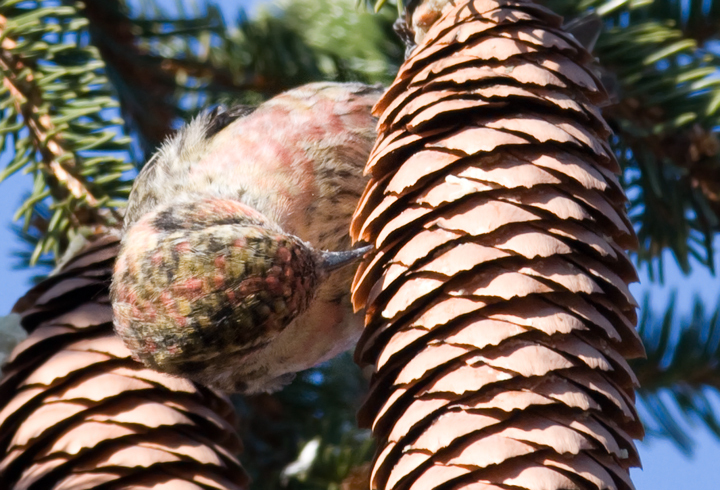 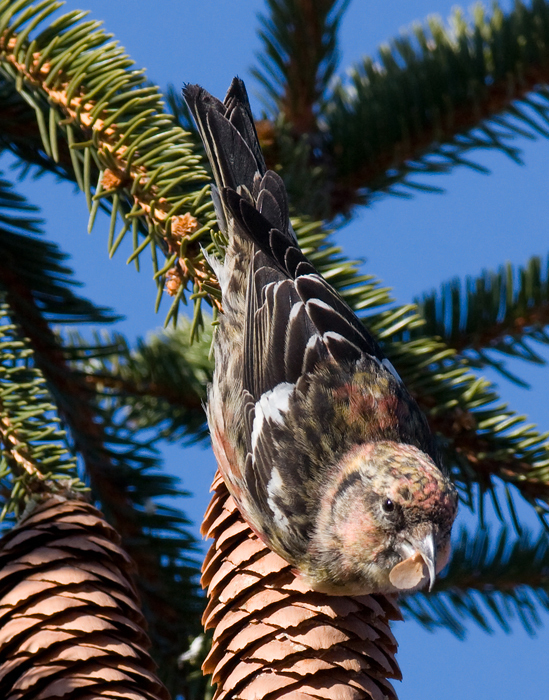 Note the molt details, where the reddish-pink feathers are replacing yellows and greens. 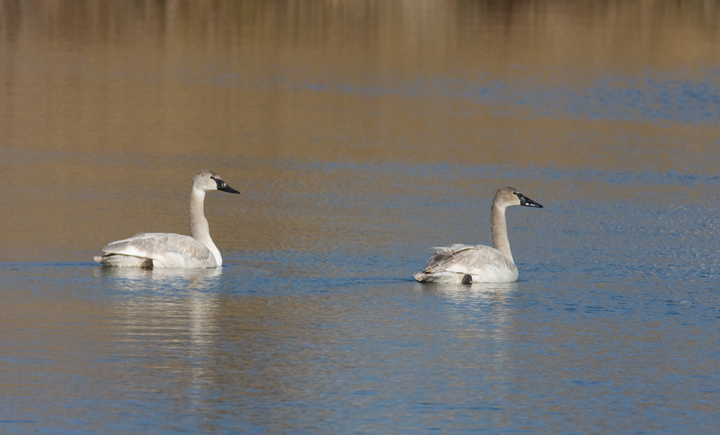 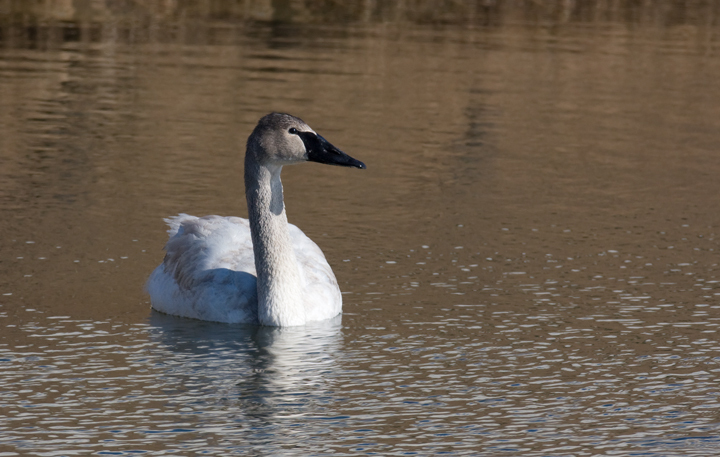 Below: Two first-winter Trumpeter Swans in Harford Co., Maryland (2/16/2009). 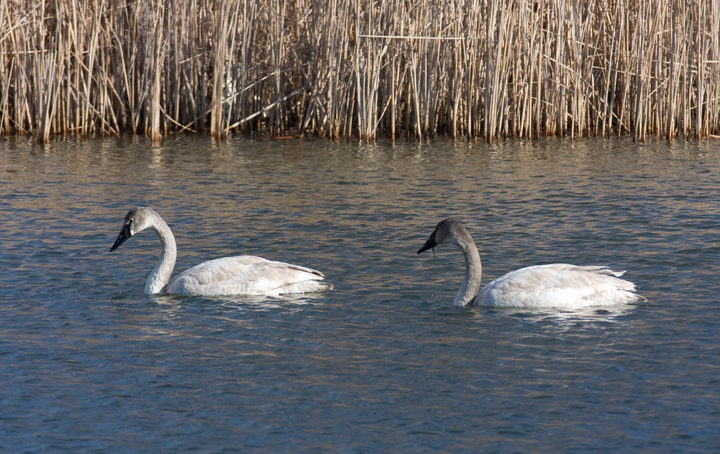 They were found by Dave Larkin on 2/8/2009.